The Lackawanna Cut-off Restoration Project is an effort by NJ Transit to restore the old Lackawanna Cut-off. NJ Transit is currently working to restore service to Andover and bringing rail back to Scranton will require support from both New Jersey and Pennsylvania. 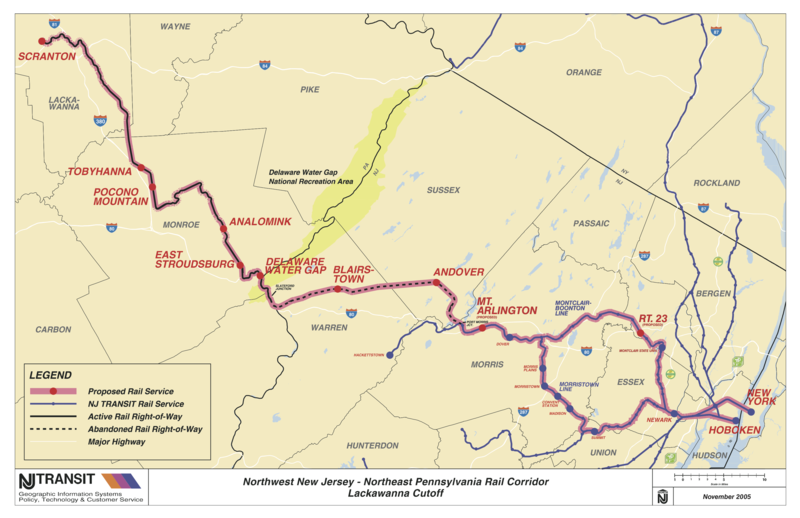 The line would be NJ Transit’s Montclair-Boonton and Morristown Lines. Riders would also be able to get to New York City via NJ Transit. At this point, funding is needed to continue finishing laying the rail. Contact your leaders.